2017.09. 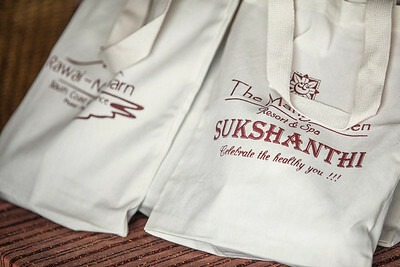 - Sukshanthi - Celebrate the Healthy you! 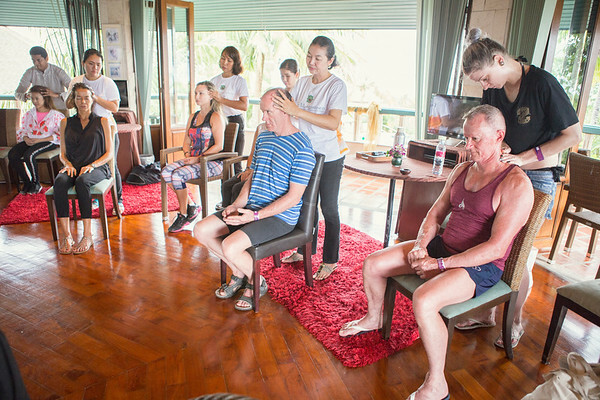 THE RAWAI NAI-HARN BUSINESS COMMUNITY & THE MANGOSTEEN RESORT & AYURVEDA SPA, IN CO-OPERATION WITH LOCAL, HEALTH RELATED PARTNERS ARE INVITING YOU TO EXPERIENCE MANY HEALTH ACTIVITIES THROUGHOUT THE DAY. The Mangosteen is also proud to announce the opening of its new phase! 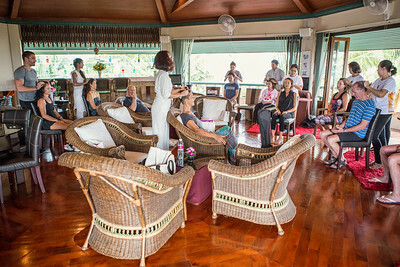 Using the Mangosteen Resorts grounds as a platform for local health businesses to promote the area as health and wellness center of Phuket, joining together to gain the interest of many residents. Local businesses have been invited to present themselves free of charge and we intend to repeat the event, eventually growing it to a health and wellness fair. Rawai has already established itself as a health center, so we think it is time to promote this fact to the locals and to the world. After the health programs, we are inviting to a party with live band and a great buffet! 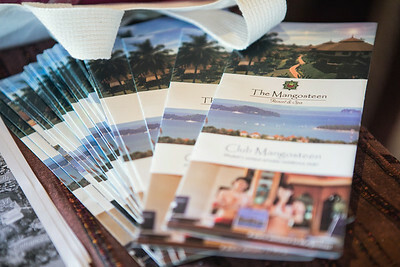 What’s new at the Mangosteen? 8 beautifully appointed brand-new Superior Jacuzzi Villas, the activity center “Prana Sala”, a unique Thai-Style Teak Wood Sala and the large rock Waterfall nearby, surrounded by lush tropical gardens. There is a totally new entrance road (Soi Mangosteen) and we also redesigned the entrance with a natural Rockwall all around the property. Construction took around one year but great attention to detail and quality simply takes time. With the help of an international team of Designers and Engineers, Mangosteen opened in March 2003 and we are proud to announce that after successfully operating over 14 years, we now completed the first ever new additions to the resort. The Mangosteen can be called “well established” as the family owned and operated resort nowadays is completely debt free and can count on a large base of loyal return guests. 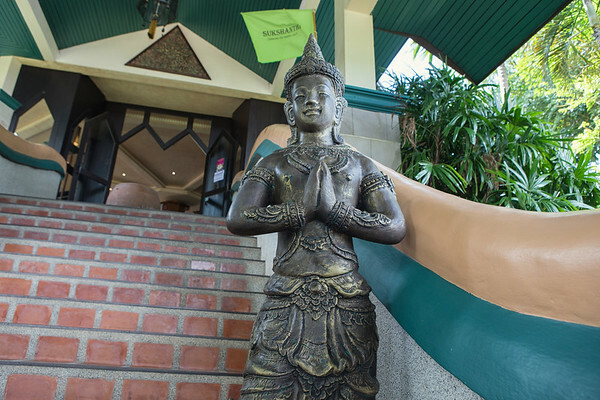 In 2005, the resort was officially awarded 5-star Boutique Resort by THA, TAT and ATTA (Thai Hotel Standard). We are proud to be first 5-star Boutique Resort in Phuket, not operated by an international brand but purely family managed. 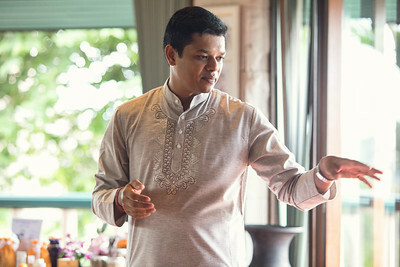 In 2010, we added the word “Ayurveda” to the resorts name, offering authentic service by an inhouse Ayurveda Doctor, unique in Phuket. 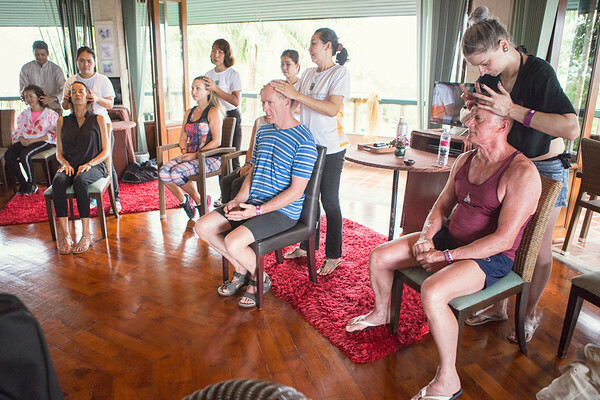 Since then, many guests enjoyed the benefits of the ancient Indian medicine here at the resort. 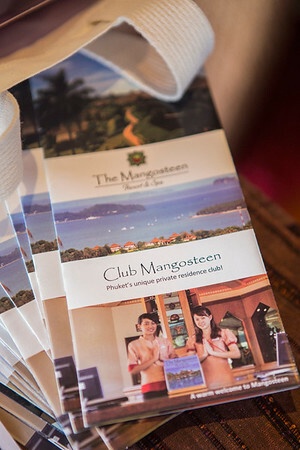 In 2011, we established Club Mangosteen, a member’s club now counting over 700 members. 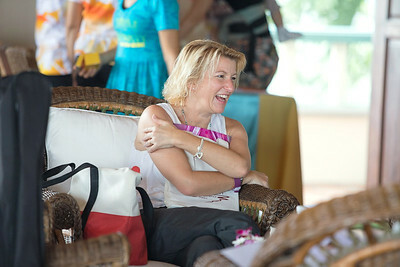 Mangosteen became affiliated with Interval International, one of the best travel companies in the World. 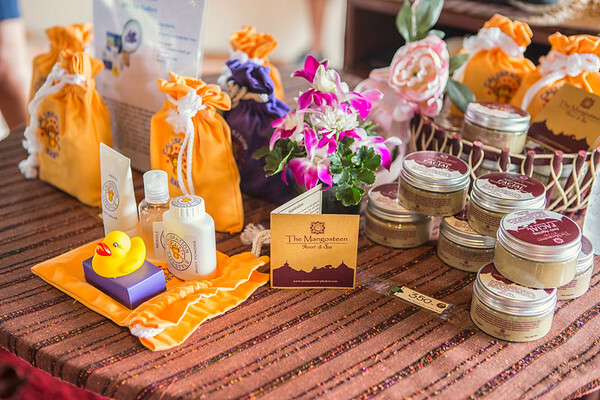 The villas, all renovated permanently, are equipped with many custom-made items, all specifically designed for the Mangosteen and produced in Phuket. They are large and comfortable and offer lots of privacy and amazing gardens around. 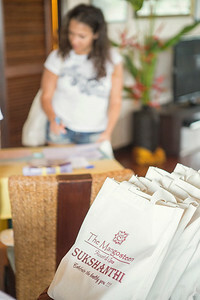 The resort now comprises a total of 50 luxury villa style accommodations. Not only is there a new phase, but many parts of the existing resort have been carefully improved and upgraded. The new phase is also the beginning of a partially new concept. 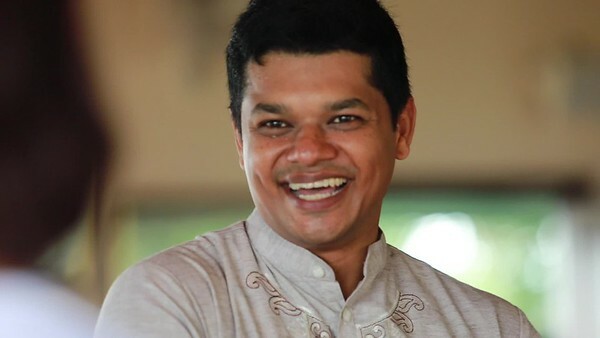 Since 2010, we have been concentrating on promoting Ayurveda cures and Dr. Subhash, the only certified Ayurveda Doctor in Phuket, was very successfully leading the program. To widen the scope of the Spa, we are now offering a much greater choice of treatments, Yoga Retreats and various wellness and detox programs. The Mangosteen Resort will become an “Ayurveda & Wellness Resort” and a newly developed website will feature all the new programs. Already today, there are several Yoga Retreats booked in for 2018 and we expect this business to quickly become essential for the resort. The peaceful and secluded, children free environment, the large gardens and the unique villa style, all are ideal to rejuvenate and relax. Separating and recycling garbage, recycling waste water, saving energy by use of the most advanced technologies are essential parts of the resorts operations. However, we also care about the impact on the landscape, choosing soft colors, low rise construction, soft lightning and preserving as many of the old, existing trees as possible. 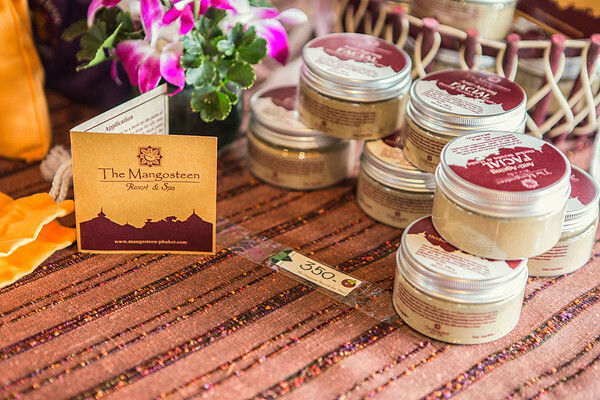 The selection of many local products, as many as possible, reduces the need of long transportation and helps the local community. Children-free Relaxation: Based on guest feedback, the resort was made children-free (12+ years) about 2 years ago. In perfect harmony with the Ayurveda & Wellness Spa concept, guests are able to completely relax and enjoy the peaceful environment. Natural, wooden items (windows, doors, floors) and a color concept, using only 3 colors throughout the resort (orange, creme, green), contribute to the calmness that gets into guests shortly after arrival. This event is about the new phase and the spa, however the restaurant continues to amaze with healthy, delicious food and the unique underground wine cellar. The next invitation might be to show you a newly renovated restaurant. 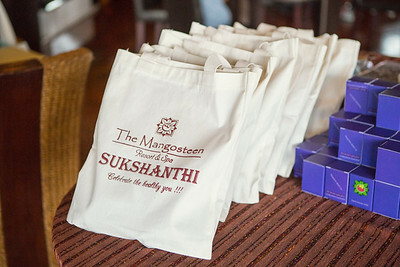 Sukshanthi – Celebrate the Healthy you! 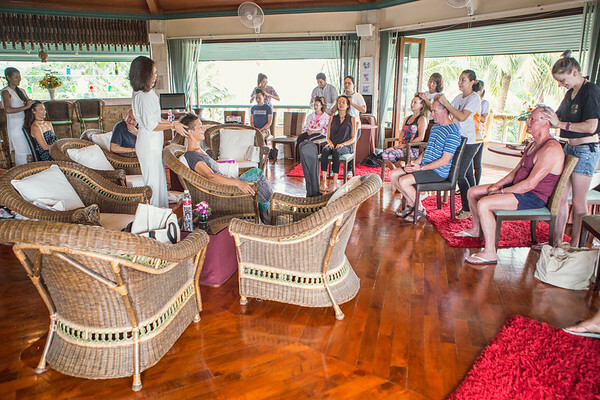 THE RAWAI NAI-HARN BUSINESS COMMUNITY & THE MANGOSTEEN RESORT & AYURVEDA SPA, IN CO-OPERATION WITH LOCAL, HEALTH RELATED PARTNERS ARE INVITING YOU TO EXPERIENCE MANY HEALTH ACTIVITIES THROUGHOUT THE DAY.